Hi! My name is Dr. Daniel Peikes. While I was born in New York City, I moved to North Jersey when I was 7 years old and was raised there. . After graduating with honors from Touro College, I went on to earn my D.M.D. from the University of Medicine and Dentistry of New Jersey (UMDNJ) – New Jersey Dental School (NJDS), earning Dean’s List honors multiple times. While in my junior year of dental school, I was introduced to the field of Pediatric Dentistry. I very quickly realized how much I enjoyed treating young children and adolescents. The ability to turn a frightened and anxious child into a trusting and excited patient is the ultimate goal, and is truly rewarding. I completed my Pediatric Dentistry training at UMDNJ, while also serving as Chief Resident. I have experience in treating pediatric patients (including special needs patients) in the office as well as in the operating room. 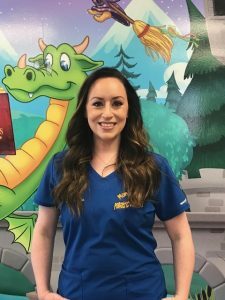 I am a Board Certified Pediatric Dentist and a member of the College of Diplomates as well as the American Board of Pediatric Dentistry. 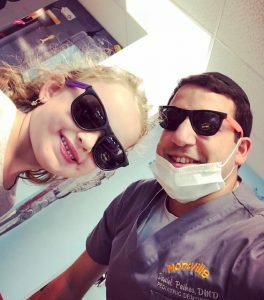 I am also a member of the American Academy of Pediatric Dentistry, New Jersey Academy of Pediatric Dentistry, American Dental Association, and the New Jersey Dental Association. I have lectured for the Passaic Park Dental Study Group, and presented at the New Jersey Academy of Pediatric Dentistry bi-annual session. I have also been published in the Journal of Dentistry. My wife Elana and I, reside in North Jersey with our three sons. I enjoy traveling with the family, playing and watching sports with my sons, and we are all avid Giant fans.